We know letting your property can be difficult, especially in these challenging times. We have a highly skilled and experienced team to manage your property and this is why we want to help your next let be hassle-free. Our commitment to you is to manage your property, whilst providing guaranteed rental income and a reliable service. Sound good so far? Read through the sections below for the full details of our lease agreement. Here at Oak we offer a guaranteed rent scheme. This means that regardless of whether your property is occupied or not, while you are under a lease with us you will receive your rent … guaranteed! 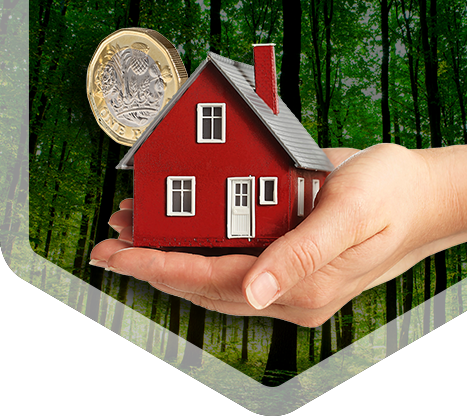 The will provide you with peace of mind and security of income. There are number of steps you will need to undergo before we take on your property. These are industry standard and designed to ensure that the properties under management are in tip top condition. If you are interested in leasing your property through us the following steps will give you an idea of the kind of things we will request. 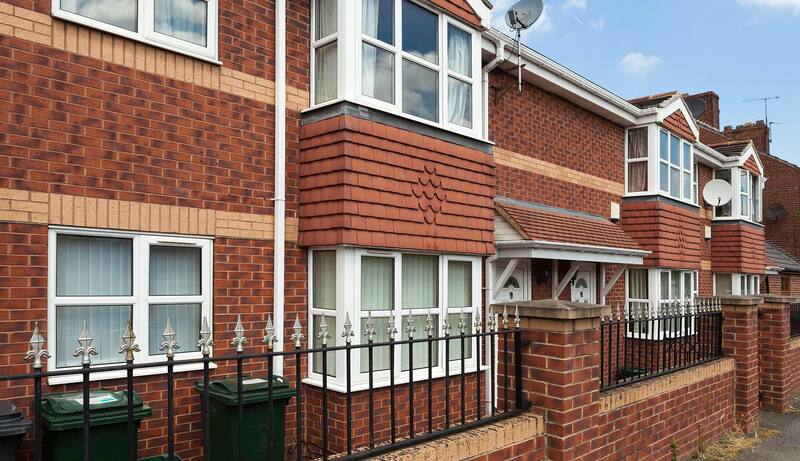 We will discuss your rent expectation and agree an amount in line with area specific factors. We will agree the term of the lease (anything between 1 – 5 years typically) and agree upon a guaranteed rent figure. Please note that rents will be paid on or before the 7th of every month by BACS, whether or not the rent has been received from the tenant. We aim to view and inspect your property within two working days of you contacting us. Providing the property is suitable and ready to let, we aim to sign the lease agreement within five working days getting your guaranteed rental to you as soon as possible. We will use our networks to identify a suitable tenant for the property. Please note that we work closely with Local Authorities and actively work with Housing Options teams to find settled accommodation for homeless households. We will accompany all prospective tenants when viewing your property. If the tenant is from the private sector then we will carry out a reference check from the previous landlord. If however the tenant is nominated from one of our 40 plus Local Authority Partners we will work closely with them to evaluate the suitability of he prposed household. We will work with you to agree the lease term (which ideally will be a minimum period of 12 months if you are privately renting and a minimum of three years with the Local Authority, however this will be determined through negotiations). We will prepare all tenancy agreements and support new tenants with the transfer of utilities and the moving in process. We have a dedicated team of Housing Officers who will be on hand to support you and the tenants Monday to Friday 9am-5:30pm. While we (Oak) will be responsible for the day to day management of the property, you as the owner will be responsible for structural / external repairs including the heating system. You must ensure the property is free of asbestos and other category 1 hazards as they relate to rented accommodation. We will work closely with you to ensure that all compliance requienments are met. This will include Landlord Gas Safety Records and NICEC certifications as well as appropriate insurance is in place. Note that as a Registered Provider we prequalify for Local Authority licensing schemes. We require recent and valid copies of the gas, electrical safety and Energy Performance and PAT (Portable Appliance Test) (if necessary) Certificates before we can sign the lease agreement. If you don’t already have these certificates we can organise the gas, electric and energy ones free of charge for new instructions. If the leased property is within a block, we will require a valid Fire Risk Assessment certificate for our records. Clean, well maintained and presented. Secure and suitable light fittings. Carpets or laminate flooring throughout the property. White goods to be provided and in full working order (unless stated otherwise with the Local Council). Fully furnished properties should include suitable furniture that meet all statutory fire and safety regulations. All properties must be fitted with mains connected operational smoke alarms, heat detectors and CO2 monitors. All structural elements of the property must be in good condition and repair. Gas and electrical safety and Energy Performance Certificates (EPC) are required prior to sign up. We will require two sets of keys for each property, one will be held securely by us in case of emergencies. Your property will need to meet the following government regulations. The structure and exterior of the dwelling. The installations for the supply of water, gas, electricity and sanitation. The installations for the supply of space heating and water heating. The communal areas and installations associated with the dwelling. The Housing Act 2004 states that any residential premises should provide a safe and healthy environment for any potential occupier or visitor. Under our Property Management Service, where we receive correspondence or a notice from the Local Authority relating to works required to the property, we will contact you in the first instance to discuss how these repairs will be carried out. These regulations make it mandatory that gas appliances must be maintained in a safe condition at all times. An annual safety check must be carried out by a tradesperson registered with Gas Safe Register. An annual safety check of each gas appliance/flue/ pipework must be carried out. The legislation also applies to portable appliances such as LPG (Calor gas) heaters but not those appliances that are owned by the tenant. Once a check has been completed the engineer will issue a certificate to the landlord. Gas safety certificates must be kept for two years and a copy must also be provided to the tenant within 28 days of the check being carried out. A valid gas safety certificate must be in place at the start of the tenancy and the tenant must be given sight of the valid certificate. Failure to comply with this legislation is a criminal offence. Visit gassaferegister.co.uk or phone 0800 408 5500. Should your property require a gas safety certificate, we can arrange this on your behalf. These regulations apply to any portable electrical appliances (such as TVs, fridges, freezers, toasters, microwaves and lamps) which are provided as part of the tenancy. They should be safe to use and in proper working order. It is a criminal offence to supply unsafe electrical equipment with rented accommodation. As a minimum, appliances should be visually inspected for any faults or damage. Whilst it is not a legal requirement, we require an electrical safety certificate covering all wiring and portable appliances within the property. Should you require an electrical safety certificate, we can arrange this on your behalf. The Health and Safety Executive guidance state the requirement that any electrical equipment that has the potential to cause injury is maintained in a safe condition. The responsibility of safe appliances lies with the person who is the duty holder; this could be the landlord or manager of a premises. Any portable appliance in the accommodation, from a kettle, to a microwave to even a vacuum cleaner, should have periodic portable appliance testing, especially via a qualified and certified PAT Testing engineer. A PAT Testing engineer will know exactly what to look for and where to look for it, from plugs and outlets to the casings around any portable appliances. From 1 October 2008, landlords are legally required to show all prospective tenants the Energy Performance Certificate (EPC) relating to their property. Noncompliance of this regulation could result in a £200 fine. An appropriate qualified assessor must complete this certificate. Should your property require an EPC, we can arrange this on your behalf. Furniture to pass a cigarette resistance test. Cover fabric, whether for use in permanent or loose covers, to pass a match resistance test. Filling materials for all furniture to pass ignitability tests as specified in the regulation. Beds, headboards, mattresses, sofa beds and futons. Garden furniture that is suitable for use in a dwelling. Scatter cushions, seat pads and pillows. Loose and stretch covers for furniture. All new furniture (except for mattresses, bed bases, loose and stretch covers) manufactured since 1988 has been required to carry a permanent label providing information about its fire retarding properties. The landlord must ensure furniture complies with the above legislation before the tenant occupies the property. Any furniture failing to comply must be removed by the landlord and stored at the landlord’s expense. The Smoke and Carbon Monoxide Alarm (England) Regulations 2015 is intended to come into effect from 1 October 2015. This law requires private landlords to install smoke alarms on every floor of their property, and test them at the start of every tenancy. Note that, as presently for alarms fitted, it is intended that the tenant is responsible for testing the detectors regularly thereafter. Landlords would also need to install a carbon monoxide alarm in any rooms where a solid fuel heating system or gas appliance is installed. This Act affects the way in which monies are collected by HM Revenue and Customs for non-resident landlords. A non-resident landlord will be able to apply directly or through his/her UK accountant the tax from the rental income. If granted and confirmed by HM Revenue and Customs this will enable the agent to release the rent gross without making a tax retention. Joint owners must each apply to HM Revenue and Customs. If the landlord is not granted self-assessment, the agent will have to pay to HM Revenue and Customs on a quarterly basis the appropriate income tax percentage of the net rentals. The calculation for tax paid by the agent will not include mortgage interest, depreciation or other tax deductible items. Any overpayment of tax will then need to be reclaimed at the end of each tax year by the landlord submitting a statement of accounts to HM Revenue and Customs directly. The tenancy deposit legislation applies to all deposits accepted for assured shorthold tenancies post 6 April 2007. Landlords (or their agents) must protect the deposit within 30 days and give the prescribed information to the tenant as to where the deposit is protected. Financial penalties (no more than three times the deposit sum) can be awarded against the landlord. Any Section 21 notice served by the landlord before the deposit has been protected and/or the prescribed information served, will be invalid. Any properties taken on via Oak Housing LTD are exempt from the above. The Protection from Eviction Act 1977 makes it a criminal offence for any person to unlawfully deprive a tenant of their occupation of the premises. This means that, unless the tenant agrees to vacate the property, the only legal way a landlord can evict a tenant is by obtaining a court order. It is also a criminal offence under this Act to harass a tenant, or any of their friends or visitors who have gained lawful access to the property. Harassment is defined as acts likely to interfere with the peace and comfort of the tenant or the persistent withdrawal of essential services. You must advise your bank or building society that you will be letting the property. Written permission is usually required. Some lenders will charge an administration fee for issuing a consent letter. There may also be a variation in interest rate levels of the mortgage. If the property is leasehold, the head lease will specify whether or not you should gain permission from the freeholder or the freeholder’s managing agent. The freeholder or his agent will normally charge a fee for issuing a letter of consent and in some cases special conditions may be imposed. Buildings insurance covers the risk of damage to the structure and permanent fixtures and fittings of a building. If the property is leasehold, then the freeholder will normally arrange the buildings insurance and re-charge the cost. There are specific insurance policies aimed at landlords that cover liabilities to the tenant where a property has been made uninhabitable as a result of an insurable risk as well as covering liability should a tenant be injured as a result of an accident in the property. We require that you have buildings insurance and provide details of such when requested. Tenants are usually responsible for providing their own contents insurance to cover their personal belongings. We will respond to emails within two working days. We will return all calls within two working day. Should you need to contact us outside normal office hours, we offer an emergency contact service, details of which will be provided to you. Our full management service will provide a 24-hour reporting service. We offer a monthly rental collection, pursue non-payment of rent and provide advice on rent arrears. For peace of mind we can protect the deposit on behalf of landlords.